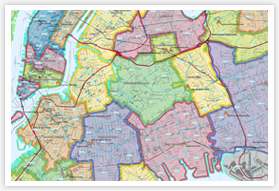 sales territories, optimize sales routes and analyze sales performance by geography. the relationship between location, customers, markets and sales. metrics for this sales representative. Customize Your Map to Show the Information You Need! powerful visual aids that support business growth and management. 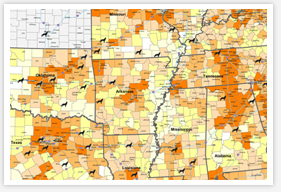 Large scale maps with your sales data, from 3x4 to 9x12 feet and larger. Custom Maps of any area in the USA, Canada and the world. neighborhood segmentation, consumer expenditure, and more. color-coded counties to show sales performance.